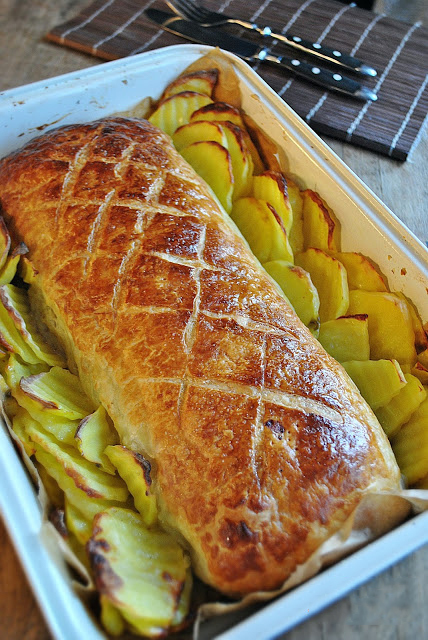 Delicious roll Wellington original recipe that you can prepare for about an hour. Winter is obviously speaking to me, because no matter how much I am preparing my pre-spring program to increase the tone through sports and fitness, switching to a lighter diet and possibly more sleep, the cold outside does not help me to really set up this wool. 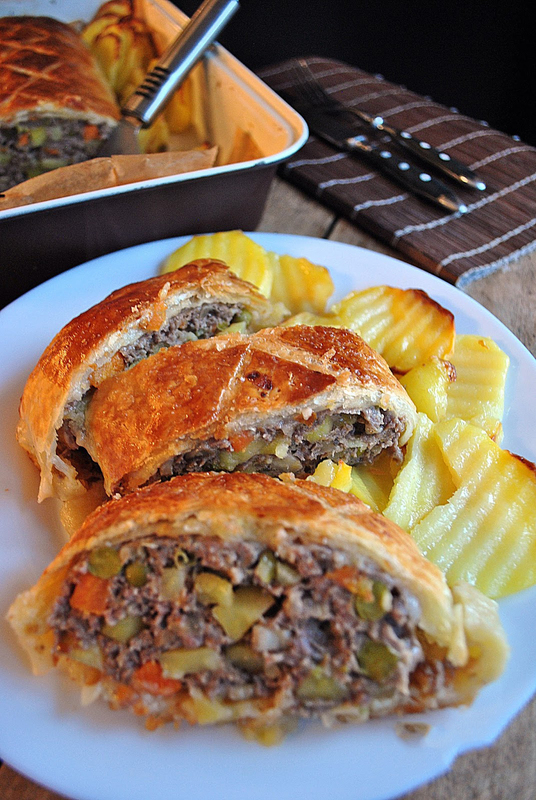 A very easy and quick recipe for fake, lazy or poor Wellington – as you want to tell him. I liked the recipe some time ago, but these days it’s time to try it out. I expected Stephanie to admit, but after I tried it, I said to myself – that’s what she lacked in the empty roll: the incredible, crisp but tender breadcrumb. The recipe is ideal for preparing on weekdays, because it will not take you more than 20 minutes in preparation and about 40 for baking, giving you just an hour from door to dinner. I start in a frying pan I put on some heat to heat During this time I get to cut my vegetables into small to medium sized cubes. (without peas of course, fry the vegetables for 5-8 minutes, then add two pinch of savory and a little pepper to taste Pour the fire, put some salt and stir in. In a bowl I pour the mince and start to add a bit of the vegetables, stirring well (on the hands or with a stirrer) I used a mixture of minced meat, but you can also use pure veal In a bowl, gently beat the egg, pour half the mince. It is very tasty and saturates hungry people, but it is not healthy. Add peas and season with some more spices, Mix the dough in a rectangle I eat the dough with a little bit of the rest of the egg, I wrap it well with the dough and move it to a tray (here you may need another pair of hands for help) in which we put paper for I can make holes in places with a fork to let the steam come out and I make very delicate patterns on the dough with the knife. I grease everything with the rest of the egg and sprinkle with some salt. There is a potato in the stuffing, but I decided to garnish the dish with a little more potatoes, which I ordered off the side. They were lightly greased and salted (we should not eat much salt). I put the dish to bake for about 40 minutes at 180 degrees, and if you do not want to roll the crust, you can wrap it with a little foil once it reaches the color you want. I barely stood to wait. One of the hardest things in the winter for me is perhaps to be able to make the pictures before the sun is hidden and starts to get dark. Usually, then, I refuse to post them because they always beat blue. Winter is a long one, and I want to offer you this recipe to try it because it really is worth it. However, the dish is the most delicious, so do not think and eat it right away, and I’ll go with the dessert.